In a small change to its Services Agreement, Microsoft has added a requirement that you must sign into your Microsoft account once every five years in order for it to remain active. Failing to do so will mean that you will lose the gamertag associated with your Microsoft account, and at that point anyone else will be able to claim it. In the meantime you will be assigned a randomly generated gamertag as a replacement. Your digital purchases will not be affected. 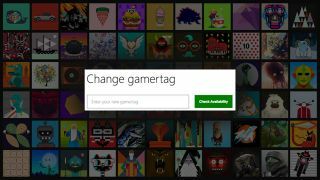 If you're away from your console for five years, then a sign-in to Xbox.com or the Xbox App on Windows 10 is enough to keep your gamertag. We have contacted Microsoft to find out if this rule is set to be applied retroactively, meaning that users who haven't signed in since 2011 are at risk of losing their gamertags. We will update this piece when it responds. But in the meantime if you haven't signed into your account in a while, it might be a good idea to do so if you don't have any plans of buying an Xbox One or a Project Scorpio. Then again if your username is still xxxElite_Ninja_Killaxxx then it might be time to move on.